α + a are not possible. 2πTAfter one revolution about the fixed centre is completed, the ball has come back to its original position. 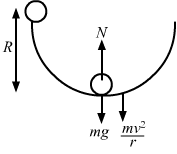 In this case, the point at which the ball meets with the string is again visible after one revolution. This means that it has undertaken one complete rotation about its centre. 2πT. Thus, in both the cases, angular velocities are the same. The moon rotates about the earth in such a way that only one hemisphere of the moon faces the earth (figure 10-Q1). Can we ever see the “other face” of the moon from the earth? Can a person on the moon ever see all the faces of the earth? r×→Γ||→Falways true? Is it ever true? A heavy particle of mass m falls freely near the earth’s surface. What is the torque acting on this particle about a point 50 cm east to the line of motion? Does this torque produce any angular acceleration in the particle? Let f1→ , f2 →, f3→ ,… fn→ be the forces acting on a point P.Let O be the point along which torques moments will be taken.Let: f1→ + f2 →+ f3→ +…+ fn→=R→ …1Moments of force torque fi→ about O will be:τ1→=OP →×f1→The sum of the torques about O will be:M→= OP →×f1→+OP →×f2→+…+OP →×fn→⇒ M→= OP →×f1→+f2→+f3→ +…+fn→⇒ M→=OP →×R→ From 1Thus, we see that the torque of the resultant force R→ of the forces f1→ , f2 →, f3→, …, fn→ gives the sum of the moments of the torques. No, if the sum of all the forces acting on a body is zero, the body is not necessarily in equilibrium. 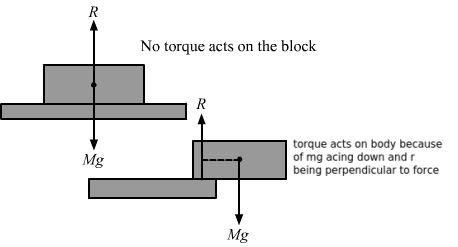 To be in equilibrium, the sum of torque acting on the body must be zero too (see the fig.). 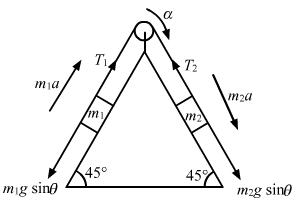 In the above case, although the sum of the forces acting on the body is zero (F1→+-F1→=0). Still, the body will rotate along OP→. So, it won’t remain in equilibrium. No, angular momentum is dependent on the position vector of the particle, angle between the radius vector and the linear velocity of the particle. So, there may be finite angular momentum along any different point even if it is zero at a particular point.If angular momentum is zero along O’ but finite along O. Let us consider a planner lamina of some mass, acted upon byforces F1→, F2→, … Fi→, etc.Let a force Fi→ act on a ith particle and torque due to Fi→ be zeroat a point Q.Since the body is in translation equillibrium, we have:ΣFi→=0 …1Again, torque about P is zero. Therefore, we have:Σrpi→×Fi→=0 …2Now, torque about point Q will be: Σr→Qi×Fi→=Σr→QP+r→Pi×Fi→ From fig. 13=Σr→QP×Fi→+rPi→×Fi→=ΣrQP→×Fi→+ΣrPi→×Fi→=rQP→×ΣFi→+0 From 2=rQP→×0 From 1=0Thus, F→ is zero about any other point Q. The ladder is more likely to slide when the man stands near the top. This is because when the man stands near the top, it creates more torque compared to the torque caused by the weight of man near the bottom. 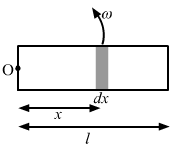 When the man stands near the bottom, the Centre of Gravity of the ladder is shifted to C’ from C. Now, the couple due to forces m+Mg and N makes the ladder fall. We see that due to its shift from C to C’, the moment arm of the couple decreases from r to r’; hence, the couple decreases. When the man stands near the top of the ladder, the Centre of Mass shifts from C to C’. This increases the moment arm of the couple and from r to r’.Increase in moment arm increases the couple and, thus, the ladder easily falls. L→=mr→×v→v→=vi^ and r→=xi^+yj^So, L→=-mvyk^m, v and y are constant; therefore, angular momentum remains constant. πr2tHere, t is the thickness of the disc. νA < νB(d) the relation depends on the actual magnitude of the torques. Mr2Consider an element of length, dl = rdθ. 12 Mga sinθLet N be the normal reaction on the block. 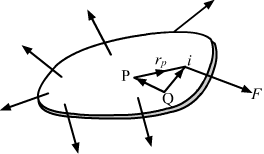 ωMM+2 mNo external torque is applied on the ring; therefore, the angular momentum will be conserved. N=mgcosθ …ima=mgsinθ-fr …iiPutting fr=μN in ii we get,a=gsinθ-μcosθThe friction coefficients between the objects and the incline are same and not sufficient to allow pure rolling; therefore, all the bodies come down with the same acceleration. 12mv2+L22ISo, the body with greater value of moment of inertia will have smallest kinetic energy at the bottom of the incline. Γtotalis is the total torque on the system due to all the external forces acting on the system. So, equation (B) is not true as in non-inertial frames, pseudo force must be applied to study the motion of the object. r→and v→will have the same direction and their cross product will be zero. Hence, angular momentum is zero. r→and v→will not have the same direction and their cross product will not be zero. Hence, angular momentum is non-zero. 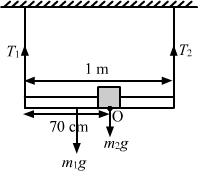 ω-tcurve gives the total angular displacement. =12×10×40+40×10+12×40×10=800 rad∴ Total angle rotated in 30 s = 800 rad. v0(d) the speed of B is greater than the speed of O.
ωr=v0Velocity of the particle at A, B, C and D will be resultant of v0 and ωr. a=gsinθ1+ICOMmr2ICOM for a solid sphere=25mr2So, a=gsinθ1+2mr25mr2=57gsinθa is independent of mass and radii; therefore, the two spheres reach the bottom together. ICOM for a hollow sphere=23mr2So, a’=gsinθ1+2mr23mr2=35gsinθThe acceleration of the solid sphere is greater; therefore, it will reach the bottom with greater speed. 27g tanθ) required for perfect rolling of the sphere on the inclined plane. Therefore, sphere may slip while rolling and it will translate and rotate about the centre. l=mr2=200×532=200×25×3=15000 gm-cm2=1.5×10-3 kg-m2(b) Now, let the axis of rotation passes through A and is perpendicular to the plane of triangle. Particles of masses 1 g, 2 g, 3 g, ………., 100 g are kept at the marks 1 cm, 2 cm, 3 cm, ……….., 100 cm respectively on a metre scale. 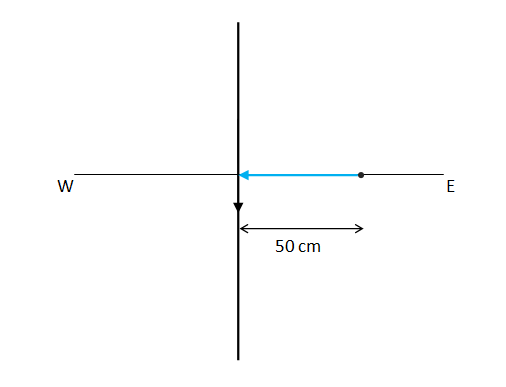 Find the moment of inertia of the system of particles about a perpendicular bisector of the metre scale. I=I1+I2+I3…..+I49 +I’Here, I’ is the moment of inertia of particle at 100 cm. ρr=A+Br. Find its moment of inertia about the line perpendicular to the plane of the disc thorough its centre. So,τ→=F→×d⊥=mg×u2sin2θ2g τ→=mu2sin2θ2 =mu2sinθcosθTherefore, the direction of torque is perpendicular to the plane of the motion. Torque, τ→=F→×r→⇒τ=wrsinθ=wlsinθHere, w is the weight of the bob. 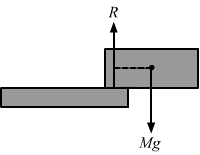 τ2=F×16100To loosen the nut, torque in both the cases should be the same. τ→=F→×r→=F×L4×sin90°τ=F×L4Let the torque produces an angular acceleration α. Because of the friction between the water in oceans with the earth’s surface, the rotational kinetic energy of the earth is continuously decreasing. If the earth’s angular speed decreases by 0⋅0016 rad/day in 100 years, find the average torque of the friction on the earth. Radius of the earth is 6400 km and its mass is 6⋅0 × 1024 kg. ⇒t1=ω0α1=202=10 sSo, in 10 s the body will come to rest. 16g+mg=24.0g+24mg5×8×0.54⇒16+m=24.0+24m40×0.54⇒m=44 kgTherefore, weight of the mechanic, who can go up and do the work, should be less than 44 kg. τ=60×10×6.52sinθ⇒τ=600×6.52×1-cos2θ⇒τ=600×6.52×1-66.52⇒τ=740 N-m(b) Let us find the vertical force exerted by the ground on the ladder. On applying τ=Iα, we get:mr212×α=0.10 N-m⇒α=60 rad/sLet ω be the angular velocity after time t (t = 5 s). 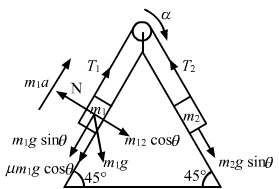 A boy is standing on a platform which is free to rotate about its axis. The boy holds an open umbrella in his hands. The axis of the umbrella coincides with that of the platform. The moment of inertia of “the platform plus the boy system” is 3⋅0 × 10−3 kg-m2 and that of the umbrella is 2⋅0 × 10−3 kg-m2. The boy starts spinning the umbrella about the axis at an angular speed of 2⋅0 rev/s with respect to himself. Find the angular velocity imparted to the platform. νhorizontally along the tangent to the edge of the platform when it was caught by the kid, find the angular speed of the platform after the event. νas seen by his friend. Find the angular velocity with which the platform will start rotating. νrelative to the platform also in the anticlockwise direction. Find the new angular speed of the platform. Let ω’ be the angular velocity of platform after the kid starts walking. ω’+νR, after the kid has started walking. ω’+vRExternal torque is zero; therefore, angular momentum is conserved. Velocity, v=at⇒v=Ftm(b) Let the angular speed about the centre of mass be ω. => ω = 6mu1/ML —2. 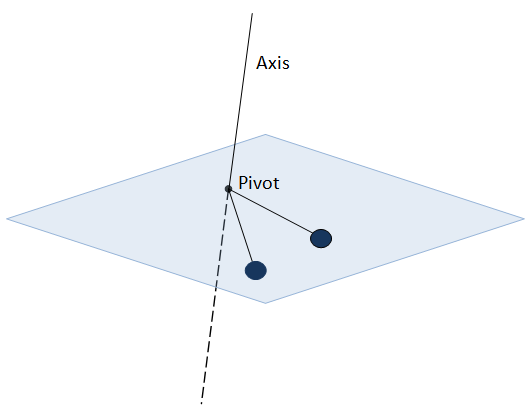 νbefore the collision and it sticks to the rod after the collision. 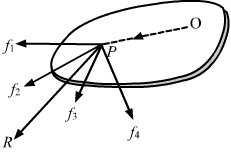 The rod has a mass M. (a) Find the velocity of the centre of mass C of the system constituting “the rod plus the particle”. (b) Find the velocity of the particle with respect to C before the collision. (c) Find the velocity of the rod with respect to C before the collision. (d) Find the angular momentum of the particle and of the rod about the centre of mass C before the collision. (e) Find the moment of inertia of the system about the vertical axis through the centre of mass C after the collision. (f) Find the velocity of the centre of mass C and the angular velocity of the system about the centre of mass after the collision. Let the new angular speed of the rod be ω‘. =mνrLet the particle P collides the ball B with a speed u and system moves with speed v just after the collision. 1·6×10-4 kg-m2and a radius 2⋅0 cm, Find (a) the kinetic energy of the system as the 400 g block falls through 50 cm, (b) the speed of the blocks at this instant. Let the mass of the rod and its angular velocity be m and â€‹ω (when hits the ground), respectively. 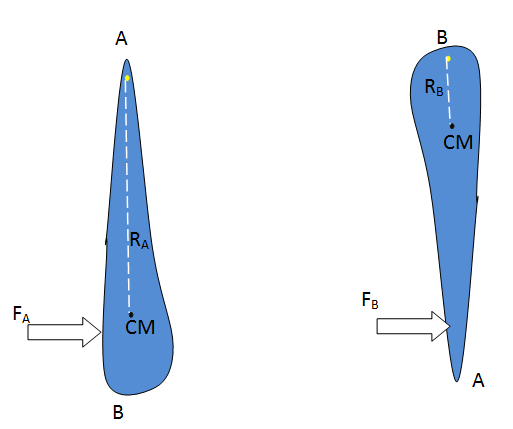 Fc=centrifugal force =dmω2l=dm9g10ll⇒Fc=0.9gdmFt=tangential force =dmαl⇒Ft=0.9gdmSo, total force on the particle of mass dm at the tip of the rod will be the resultant of Fc and Ft.
νon the horizontal part of the track of the previous problem from right to left. To what height will it climb up the curved part? 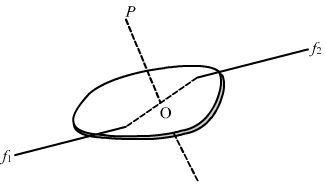 v’ and its velocity becomes v at the top-most point. mgH=12mv2+12Iω2+mgR1+sinθ⇒mgH-mgR1+sinθ=12mν2+12Iω2⇒12mv2+12Iω2=mgH-R-Rsinθ …1Total K.E. at A=mgH-R-Rsinθ(b) Let us now find the acceleration components. 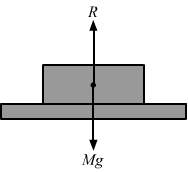 Let the cue hits at a height ‘h‘ above the centre. L’=Iω’+mv×R =12mR2vR+mvR =32mVRAs no external torque is applied, angular momentum will be conserved. νwithout any initial angular velocity. Find the linear speed of the shell after it starts pure rolling on the surface. L’=Iω+mv×R =23mR2v’R+mv’R =53mv’RAs no external torque is applied, angular momentum will be conserved. 2π=12αt2⇒t2=8πMR3FLet d be the distance travelled in this time t.
ν/R in the anticlockwise directions as shown in figure (10-E16). 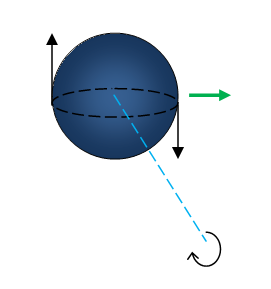 Find the linear speed of the sphere (a) when it stops rotating and (b) when slipping finally ceases and pure rolling starts. L’=mv’RAs no external torque is applied, angular momentum will be conserved. L’=mv’RAngular momentum about point A’ after it starts pure rolling. L”=Iω”+mv”×R =25mR2v”R+mv”R =75mVRAs no external torque is applied, angular momentum will be conserved. νcollides elastically with a fixed, smooth, vertical wall. Find the speed of the sphere after it has started pure rolling in the backward direction. L’=mv’R+Iω’ =mv’R+25mR2×v’R =75mv’RAngular momentum is constant.